On this episode we tour the work of Ed and Lorraine Warren. The unassuming married couple who would go on to be the most celebrated paranormal researchers in the world. With Ed's fearless endeavors into the documenting and confronting of demonic forces, and Lorraine's clairvoyant and trance medium abilities they became the real life Mulder and Scully of New England. Travelling around the United States and further afield they created an unrivaled archive of haunting accounts and supernatural phenomena. And their doctrine of demonic possession has been immortalized in best selling books and Hollywood horror blockbusters. On this Podcast we slip into the spirit of the Halloween season with the most famous paranormal investigators of them all. 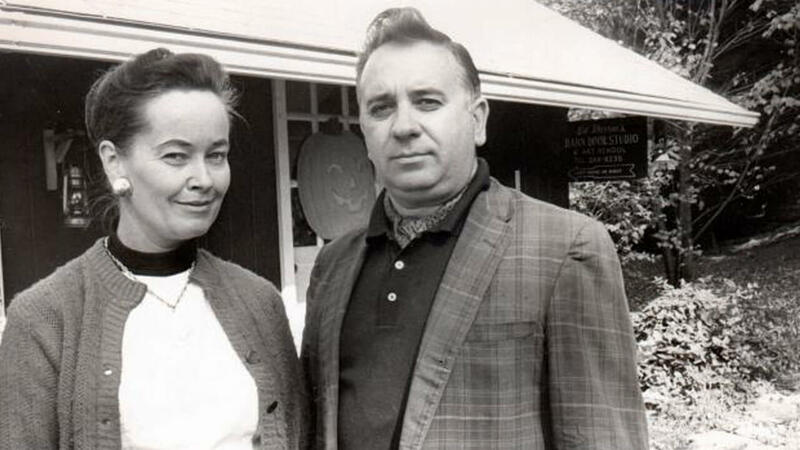 Ed and Lorraine Warren are the Connecticut couple whose names have become iconic in the world of supernatural exploration. This demon dueling duo spent over half a century touring the haunted hotspots of their native north-eastern United States. From their own personal experiences with otherworldly entities they went on to be pioneers in the field of the paranormal. Their endeavors leaving them intrinsically linked to some of the most infamous cases of demonic haunting. A life’s work that would go on to be immortalized in numerous books, documentaries and Hollywood horror films. We’ll discuss the lives of Ed and Lorraine Warren and the genesis of their journey to psychic researchers and exorcism experts. One of the key cornerstones of the work of Ed and Lorraine Warren are their theories surrounding the true nature of a ghostly apparition and active poltergeist. They perceive the truly evil entities they encounter as demonic forces, imbued with the power of Satan. A very real representation of the Biblical battle between good and evil. These malevolent spirits can infest both living beings and inanimate objects. And use distraction and fear as a tool to oppress and then possess terrified victims. Creating their field of work as they went, Ed and Lorraine Warren developed a set of protocols to engage and expose these hellish forces. And using their ties in the Catholic church, would oversee terrifying exorcism’s designed to dispossess demonic entities. We’ll talk about the specific ideas of the Demonology Doctrine of Ed and Lorraine Warren and the practices employed in their many investigations. Of course these outlandish claims require extraordinary proof and Ed and Lorraine Warren dedicated their working lives to collecting evidence and recording encounters. The psychic research society they founded is today home to thousands of case files of their paranormal adventures. From the Amityville Horror House to the Haunting in Connecticut their collection of accounts is unrivaled among other researchers. Their Occult Museum is a treasure trove of eerie artifacts like the haunted ‘Annabelle’ doll. And their purported captured evidence of paranormal activity is still some of the most contentious and confusing ever committed to film. Such was their fame and influence that they even gave testimony of demonic possession at a real life murder trial. We’ll cover all the evidence and activities of Ed and Lorraine Warren and the validity of their paranormal archives of information. David saw bathsheba bathing in a roof – not a river. Anywho I just started listening to you guys a couple days ago on my way to work and on my way home – it’s an hour drive both ways. I laugh out loud all the time and people look at me like I’m crazy but that’s fine. Thanks for my making my mornings great!